While the subjects of adoption, foster homes, child abuse, and troubled teenagers have been almost exhaustibly explored in film, Destin Cretton’s Short Term 12 occupies the very unique space of a group foster home to examine the lives of those troubled teenage residents and their equally troubled supervisors that reside within this limbo space between the streets and a future home. 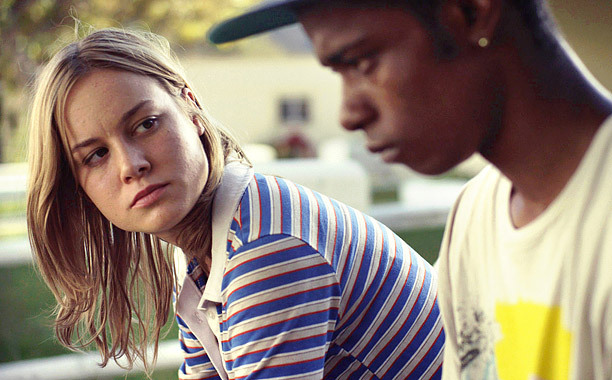 The movie mainly follows two teenagers—Marcus (Keith Stanfield) and Jayden (Kaitlyn Denver)—while also focusing on the relationship between their two supervisors: Grace (Brie Larson) and Mason (John Gallagher Jr.) Though a unique ensemble of equally interesting characters populate the cast, these four anchor the narrative—providing a clear focus into the major issues that plague the principals at play and illuming the dense problems that lie beyond the ignored doors of the group foster home that is Short Term 12. Brie Larson’s Grace centers this confusing and chaotic world shared amongst her and these problematic kids that she tries to protect—made equally difficult by the ambiguous definition of her role. She is not their parent. Not to their psychologist. Not their friend. Not their guardian. And yet she and the other supervisors are forced to simultaneously play all these parts—made doubly worse by the fact that these kids are aware of the supervisors’ limited power in the form of any legal title—and often turn their ersatz guardians into the targets of their roiling emotions. Grace and her fellow supervisor Mason are in the midst of a secret relationship that has reached a moment of crisis in the wake of Grace’s sudden pregnancy. The two are similar broken souls, coming from distinct but troubled backgrounds of their own, and determined to see that those kids under their care do not suffer from the same difficult upbringing that perhaps irreparably marks their own lives. Moreover, Grace’s difficult youth has led her down an often self-destructive path toward those intimate relationships in her life—namely those with Mason, her father, and what she worries will come to a breaking point upon the arrival her own upcoming child. Still, while navigating this new world of being both expecting parents at home and substitute parents at work, the two employ every strategy in their arsenal to comfort one of the group home’s longest residents: Marcus, a troubled black youth on the eve of his eighteenth birthday, meaning that he will soon have to leave the safety of the foster home and return to his abusive mother, in the midst of his increasingly erratic behavior. As amazing as Larson’s performance stands as the true lead of the ensemble, Stanfield’s performance remains the most resonant and heartbreaking. While many others in the cast are given the explosive and “loud” moments that many confuse with great acting, Marcus’ character is clearly one of inner-turmoil made manifest within Stanfield’s big brown eyes that pour out emotion with a single, unforgettable look. His mumbled voice, slouched posture, and outbursts of rabid rage all combining to compose a compelling character often difficult to convey in the visual medium of film but managed to be stirringly embodied through powerful performance. In a movie filled with scenes of such raw emotion, those belonging to Marcus are perhaps the most unsettling and tragic through the remainder of the piece. The second youth of the supervisors’ principal focus is Jayden, a young girl in the midst of her teenage years with an abusive father and similarly resentful of her surrounding world. 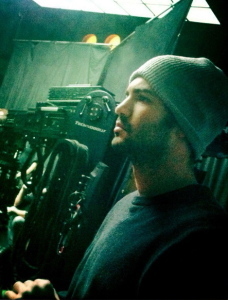 Although she starts her storyline as the expected teenage girl filled with comebacks and snark at every turn—and due to the same nuanced writing that Cretton filters into the rest of his storytelling—Jayden matures into a distinct personality that offers a much more subtle version of this typically cliché ridden character and allows for a more memorable one as a result. Sometimes her story veers into obvious territory for the sake of mirroring much of Grace’s own childhood, and though this is still handled with deft in a way that never damages the emotional center, this should be attributed to Kaitlyn Denvers’ searing and devastating performance. Unlike Marcus, Jayden is prone to explosive fits of rage—anger that has been visibly bubbling beneath the surface and erupts with volcanic fury—at one point almost on par with Linda Blair and The Exorcist for the sheer, unearthly quality to her shrieks of hate and confusion. Nonetheless, Cretton always ensures that Grace, her fellow supervisors, and the limbo of this foster home location remain the narrative focus. These digressions into certain subplots are mostly interesting for helping to complement the characters’ emotional trajectories, but Cretton wisely never forgets that the most distinguishing fact of this feature remains in the consistent chaos of the foster home. Though the role of Rami Malek’s Nate—a newbie supervisor whose role as the audience’s surrogate into this surreal setting is abandoned fairly quickly (and thankfully) after his initial function of orienting the audience into the day-to-day of the foster home—the narrative helps demonstrate in nuanced fashion how the emotional extremes of this world must be constantly monitored by the quiet strength of these social workers. Though moments of the third-act steer the plot into what feels like a different movie, the eventual conclusions found for Grace, Mason, Marcus, and Jayden are all served to very powerful final effect. As someone who actually worked in such a group home for at-risk teens following his graduation, Cretton imbues an authentic impression into this world pushed both to society’s wayside and the fictional world of film, as well. Consequentially, Cretton paints a haunting portrait of a group home populated with humanity and horror for both those short term residents and long time supervisors found within the eponymous Short Term 12—and one unlikely to be forgotten for an audience allowed a glimpse past its doors that have been ignored for far too long. This entry was posted in Film Criticism and tagged Film Criticism on January 21, 2015 by Nick Yarborough.